Apex Soccer is now offering video breakdown for coaches to aid in their team analysis. We take your match footage and break it down using the latest in Dartfish software to compile clips for your review. – Set pieces and restarts. – Goals, shots on and off target. – Specific options. For example, building play out of the back. We can also break down the match into a general highlights reel that can be used for team promotion through YouTube or other social media. 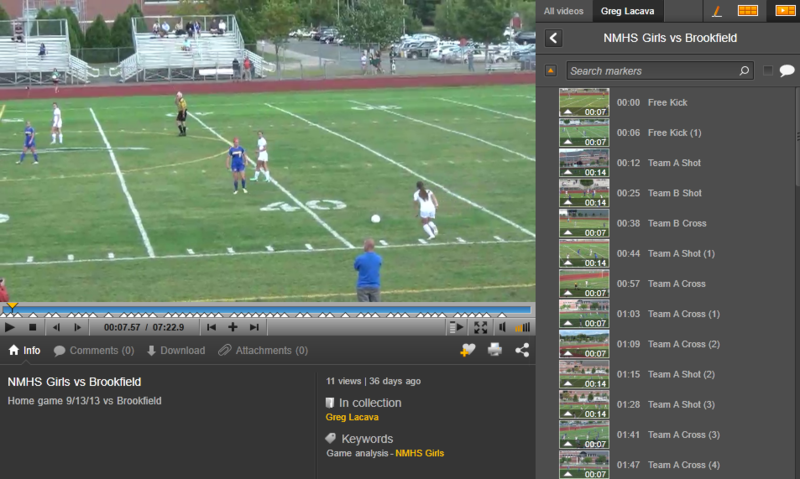 If individual players are looking for highlight tapes to send to colleges, we can also break down all footage of their action in matches. Coaches may also find the video breakdowns useful for team video sessions off the pitch. Our goal is to give the coach a technologically sound tool to add to their coaching methodology.